For us, Thiruvallikkeni, the abode of Sriman Narayana as Lord Sri Parthasarathi, the charioteer of Arjun [Parthan] is everything ~ here is something on another divyadesam where the presiding deity is Parthasarathi ~ and another temple where things are not so good now ! sad !! Most likely you have had darshan of that most beautiful charming little Sri Krishna at Guruvayur, the hero on whom thousands of mellifluous songs have been sung. Guruvayur in Thrissur houses Guruvayur Sree Vishnu Temple, the fourth largest temple in India in terms of the number of devotees visiting per day. Guruvayur, according to the legends is more than 5,000 years old as the Guruvayur temple idol is. Lord Krishna, asked 2 sages to take the idol from his temple in Dwarka while the city was being destroyed and establish it in Kerala. The idol of lord krishna was brought by Vayu deva and brhaspathi and was placed in guruvayur. The land of Kerala once contributed much to Hindu culture and civilization, but is now poised as its destroyer. This land has a great line of Rishis, preceptors, with Jagadguru Sankaracharya born here in Kaladi. Aryabhatta I, astronomer and many more have been true sons of the Hindutva tradition of ancient Kerala. Now the State has seen many killings and spillage of blood. A few months back, an young activist Rajesh Edavakode, 34, was hacked to death reportedly by left-wing Marxist workers in the state capital Thiruvananthapuram. Rajesh was stabbed mercilessly. Over 70 wounds were inflicted, his left hand severed and his right leg dismembered and flung into the rice fields. That speaks volumes on the way Red rules the land. This is no post on Communism or the merciless killings but on the struggle of devout and Temples !! - Devaswom are socio-religious trusts in Kerala that comprise members nominated by both government and community. Their aim is to manage Hindu temples and their assets and to ensure their smooth operation in accordance with traditional rituals and customs. After the passing of the States Reorganisation Act 1956 (Act No. 37 of 1956 ),Malabar district excluding the islands of Lacadives and Minicoy and Kasargod Taluk of South Kanara district came to be known as Malabar district in the state of Kerala along with the territories of the existing State or Travancore and Cochin. Under the legal provision of adaptation Clause in part XI of the Kerala Service Rule Act, the Madras H.R & C.E Act 1926 came to be under the administrative supervisory control of the Government of Kerala. The four Kerala devaswoms (Guruvayur, Travancore, Malabar and Cochin) together control the finances of nearly 3000 temples i.e., taking away the donations and property doing nothing for the devotees and the religion. In the land of Guruvayur there is a temple for Sri Parthasarathi, the temple in present form was built on the advice of Acharya and the rituals and prayers were done strictly. The followers of Sri Shankaracharya added glory to the temple and placed the idols of Lord Krishna in it. The temple came under the control of the Trichur 'Naduvil Madam' where it flourished greatly. It was later taken over by the Mallissery Brahmins. During Tipu's time, the temple lost its glory. The temple's walls, the eating place - 'ootupura', 'vaadil madam' and other sections collapsed and for years it stayed unnoticed. Finally it was renovated and today the temple stands glorified. The presiding deity of the Parthasarathy Temple of Guruvayur is Lord Krishna, in the form of Parthasarathy (charioter). It is believed that this Glorious “Idol” was the “One” worshiped by Kunthi Devi, mother of Pandavas, in Indraprastha during dwaparayuga. Now this temple is under threat of a violent take over by the Red Govt trying to usurp the money and glory of the temple. 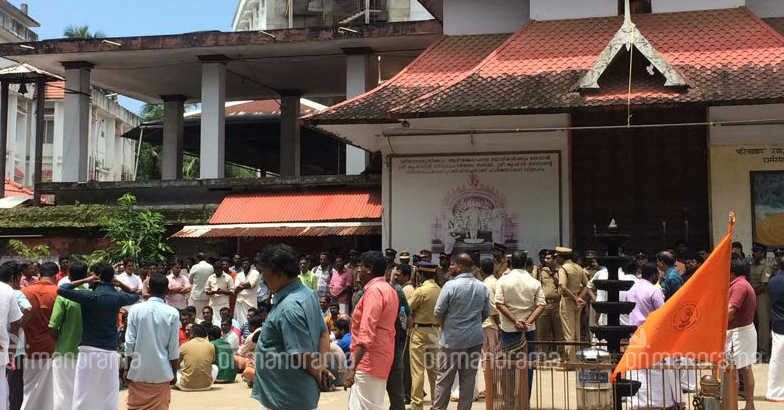 Recently, members of Hindu Aikya Vedi and temple committee blocked nearly 250 cops and officials of Malabar Devaswom Board when they turned up at the Pardhasarathi Temple in Guruvayur to take over the temple administration citing a High Court order. The stalemate that began at 7 am ended at 5.30 pm. Devaswom officials returned after a filing a police complaint that they were prevented from doing their duty. Soon after, 12 cops in civil dress entered the temple. Protesters closed the main entrance of the temple to prevent officials and police. It is the much usual way ~ allege corruption, take over and then institutionalise corruption. It is happening in Tamil Nadu ~ the wealth, donations and all the money goes to the Govt in the name of administration and misused for all other needs with nothing done for the original purpose for which devotees made such funds. Can the secular Govts do this with any other religion ?? dare not !! – sad now another temple is falling to the Malabar Devaswom. 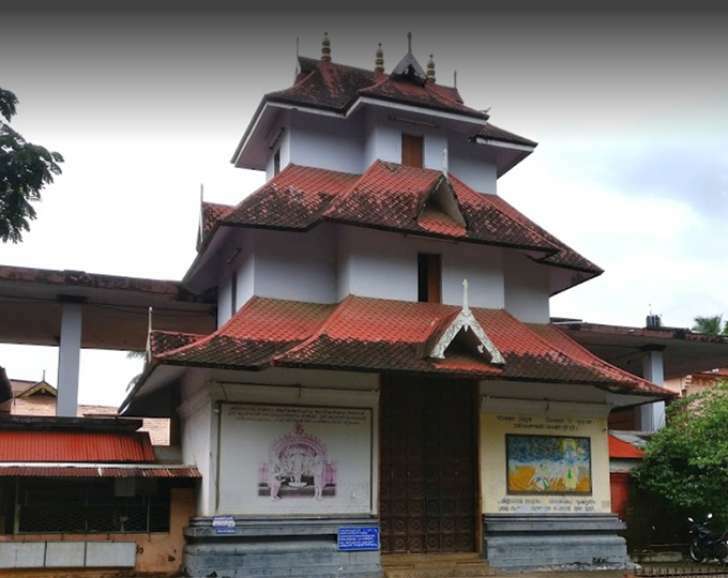 In concluding the other divyadesam dedicated to Lord Parthasarathi is at ‘ Aramula ~ Thiruvaranvilai.’ The Aranmula Parthasarathy Temple is in Aranmula, a village in Pathanamthitta District of Kerala. Constructed in the Kerala style of architecture, the temple is glorified in Thiruvaimozhi of Swami Nammalwar. (10 songs – 7aam Pathu – Patham Thiruvaimozhi). சிந்தை மகிழ் திருவாறன் விளையுறை தீர்த்தனுக் கற்றபின்னே.